I'm someone who does more reflecting after-the-fact instead of in the preparation. For example, when I go on a trip, I spend more time after the trip reminiscing and processing and looking back than I did looking forward to the trip and emotionally/mentally prepping for it. Maybe it's because I'm a procrastinator, maybe I'm just more reflective. I don't know. Easter this year was similar. 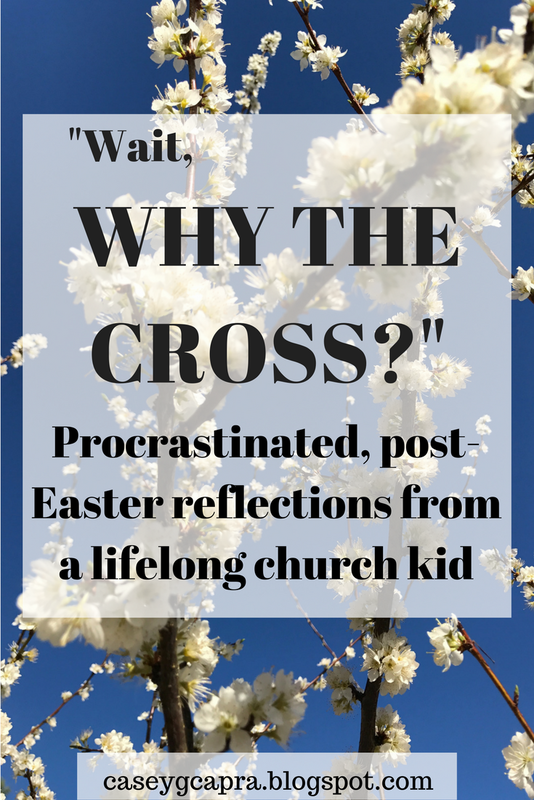 Instead of prepping for it emotionally and spending time in that portion of the Gospels before Easter morning was upon us, Jon and I found ourselves watching the Passion of the Christ a week late, and reflecting on Resurrection Morning after-the-fact. Side note: How was this was my first time ever watching the Passion of the Christ?? All that to say, last week was spent reflecting on what it was Jesus actually did. Like, why did the cross have to happen again? As a church kid who met Jesus before she could form her first memory, I find myself needing to come back to these foundational lessons. So often I hear the cross explained as the payment for our sins, so that we could be near to God and have the invitation of eternal life with Him. Very true, and something that should not be forgotten. God was far off and I was His enemy, but Jesus brought me an invitation to be in the very near presence of God, washed clean and seen as completely righteous. But this is only part. I find what is often left out of this explanation is the great love that motivated it. Yeah, I know everyone has heard John 3:16: "For God so loved the world, that He gave His only Son, that whoever believes in Him should not perish but have eternal life." But seriously, have you ever thought about a love that was motivated unto death? Like, there is someone who looks at you - an enemy, a rebellious child who wants nothing to do with her Creator - and is so overwhelmed with deep, passionate love for her that He cannot help but go through the unthinkable just to give her an invitation for a better life. The cross had to be extreme to carry such an extreme love. I get it, it also had to carry the entire weight of the sin of an entire world for all generations. Yes. But there are so many moments as a church kid that someone has pointed me to the cross and said, "Look at what you deserve! That is how horrible and despicable you are! Jesus did it all for you!" Again, all that is true. BUT have we forgotten that Jesus didn't just want me to be washed clean of my sins, He wanted me! He wanted me to be as close as possible, to adopt me as a part of His family! (Romans 8:15-17). We, as women, desire to be the prize; the damsel worth fighting for. We want to be the one that motivates our man to rise up and go to war - spiritually, sometimes physically. What wins our hearts more than to be pursued by a man, to be worked for and wooed? To be that one thing that keeps a man working late in the field, or willing to risk his life in battle. What you may not realize, is that you were that prize before you were even born. Jesus died an extreme death. His reward? The joy that He set before His eyes (He. 12:2)? It was you. A relationship with you is the only reward He wanted; you are the reward for His suffering. Not a relationship that comes from obligation, but one that comes as a response from this extreme love. A relationship that comes as a response to a scandalous invitation to go from an enemy of the King to become an adopted kid that can interrupt any court business to sit on His lap and whisper in His ear. You are the prize that He considered worth running such a hard race. You are the valuable treasure that He set before His eyes, to encourage His heart to keep going when it was hard. Maybe you're like me and you haven't heard this side of the cross in a while, or maybe you've never heard about this before. But I know that for me, in the wake of this Easter season, I have been in awe of the great depths of His love for me. He is not an obligated father who just bailed his kids out of jail and expected them to be grateful; He is a Father who's heart is desperately in love with His kids and doesn't want eternity without them! And someone in love has to act on it. Love isn't static or stationary, it is always pursuing someone or something; actively in motion constantly. That is the love that died on the cross for you, and that is the love that follows you daily. You are desperately, passionately loved by the Person who knows everything about you - all your quirks, your weaknesses, your glories, your embarrassing moments, your hopes and dreams. The Creator of the Universe wants to be close to you because He loves you. And that's the truth that will change everything about our lives. The Gospel is, indeed, the Good News! It is the cry of every orphan heart - to be brought near, adopted without merit, chosen and beloved by One who has proven His great love by the most extreme measures. And crazier still, this incomprehensible, glorious truth is the reason that we could think about this for a lifetime and never scratch the surface. So, why the cross? Because you. Not because of the greatness of your sin or the vastness of your separation, even though those were factors. The cross was because you were a prize worth attaining at all costs. Because He loved you that much. Because He wanted you that much. That's why the cross. I love this "So, why the cross? Because you" "because you were a prize worth attaining at all costs" Says it all really. How much do we need to be reminded of that everyday - this enormous love that God has lavished on us that goes past our human understanding. A lovely and inspired post. Visiting from #porchstories. 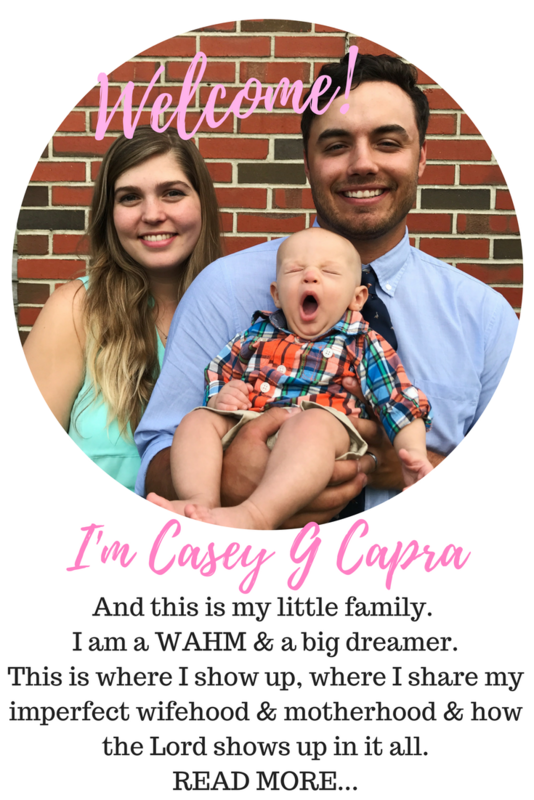 Such a wise and valuable perspective, Casey! Have a blessed week! Yes! 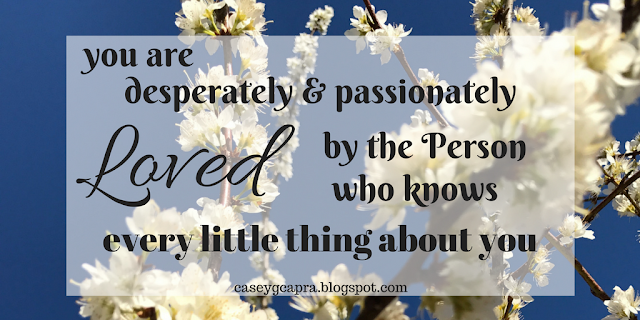 When we really "get" His love, it really rattles us to the core and changes everything! Beautiful post! Thank you so much for sharing it at #MomentsofHope!